Les Paul–arguably the most influential and innovative guitarist and inventor of musical technology in history, passed away August 13th, 2009 from complications that resulted from a severe bout of pneumonia at White Plains Hospital in White Plains, New York. He was 94. Born Lester William Polsfuss in Waukesha, Wisconsin on June 9, 1915, Les was already gigging as a honky tonk guitarist by age 13. He became a star in Chicago in 1934 playing on the radio as hillbilly picker Rhubarb Red and as Django-influenced jazz player Les Paul. He was always interested in tinkering with electronics and inventing things, a passion that led him to develop things we now take for granted, like multi-track recording and solid-body guitars. This interest eventually led to his involvement with the Gibson Guitar Company and the development of the Gibson model that bears his name which has become one of the most iconic guitars ever made. By the time Paul was in his mid-30’s, he had successfully fused the twang of Rhubarb Red with his own Django-esque jazz playing into a single electrifying guitar style. His sound was razor-sharp and smooth and became one of the most distinctive voices ever on the electric guitar. The popularity of his music began to wane with the rise of rock and roll, though his influence on the world of guitars continued to grow. Through a long life filled with ups and downs, health problems and other concerns, Les continued to perform until the year of his passing. Les Paul, to make a long story short, changed the world. Our culture of electric guitars and recording musicians would be completely different without his innovations. There is not a creator or consumer of music today that is not standing in Paul’s shadow. 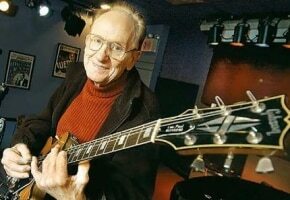 We here at Gear-Vault are saddened by his passing, but are happy to know that the Legacy of Les Paul will endure as long as there is at least one person still interested in the electric guitar. 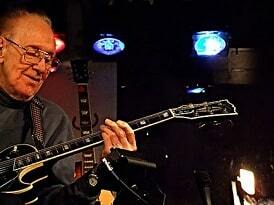 Our friend Les Paul passed away today. I guess at age 94 he had nothing to complain about – he was a living, thriving, gigging 94, and I can only hope I’m the same when I reach that age. In all of the times we have met, he never complained about anything except for New York traffic. He really was something else. My family has shared a great friendship with Les for over 50 years. He was always there for us, eager to do a meet and greet or guitar clinic “as long as it is in New Jersey!” When we opened up our store in Paramus in 1975, Les was the first person to perform and introduce us to New Jersey, kind of like our coming-out party. To this day, it is still one of the biggest crowds we have ever had. I was in the hospital that night but he still took the time to reach out; 34 years later, I still have the personalized picture he’d sent me, and I will never part with it. This year, he made a return and did a meet and greet back in the old Paramus store, and once again the line to meet this legend was out the door. He stayed longer than he said he would and signed almost everything that was put in front of him. He loved his fans, and they loved him back. He was always a gentle soul, very quiet, but he always had a joke or funny line waiting to pop out of his mouth. The last time I spent any real time with him was at a private photo shoot we did together last year at Iridium, the club he played every Monday night until the day he died. I had a rare opportunity to share a stage with him and discuss his favorite guitar, his Les Paul Custom Ebony with “Les Paul Recording” electronics, another one of his many inventions. What almost made me fall over in my chair was that the guitar was a “Factory Second” as I saw stamped on the back of the headstock. It was like seeing Henry Ford driving an Edsel. When I asked about it, he just shrugged it off: “Hey, it’s a good guitar!” After the shoot was over and we had said our goodbyes, he just went quietly back to the stage and started to play guitar all by himself, lost in the music and memories I guess. He was playing “How High the Moon” as I left. Long before I ever met the man, I was immersed in “Les Paul” life. My brother Richard was a Les Paul guitar lover, and I became one too. 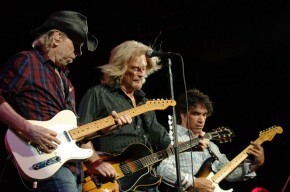 He played them, and we were always tinkering with them, changing pickups and parts. We even tried to do a refin (boy, was that a mistake). Today, I am still a Les Paul fanatic – I have more Pauls in my collection than any other electric guitar, and my ‘55 Gold Top is the jewel in my crown. There is a sound you get from a Les Paul guitar that can’t be reproduced by any modeling software or “genius builder.” It was the first home of tone, period. We still bask in the glow of my favorite Les Paul quote of all time: ”If I can’t find what I need at a Sam Ash store, I try to build it.” Since he usually found what he needed at our stores, we knew we were doing something right. As far as I am concerned, he was a true rockstar. He may not have lived the “rockstar life,” but he influenced them all. He was surrounded by musicians (mostly guitar players) at every celebration he had, and any famous guitar player in town on a Monday night would go to see his regular gig at the Iridium. There was always someone famous in the crowd. About two months ago, my Uncle Paul took a bunch of us big shots at the company to see him play. Unfortunately he was ill that night, and it was one of the few times he missed the gig. Even though we were disappointed, Jose Feliciano and Bernie Williams sat in with the Les Paul Trio and it was still cool. The truth is, you didn’t go to see Les to have your socks blown off by some riff. You went to hear the stories. He would play a little and talk a lot, and boy did he have stories to tell. There has always been a lot of discussion as to whether Les or Ted McCarty really invented the Les Paul guitar, and they actually both had a big hand in it. 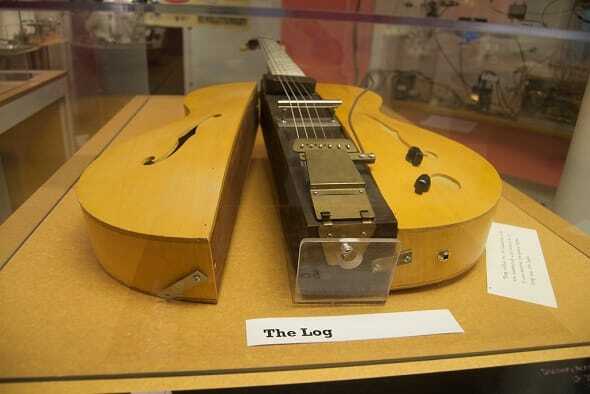 Les couldn’t build like Ted (just look at his famous “log” guitar), but Ted didn’t know guitars or what guitarists really needed in a solid body instrument like Les did. When the Les Paul was invented, the concept of a solid body guitar was still very new and the first couple tries were a little off the mark…but when they nailed it, they really nailed it. The Les Paul is one the most iconic and recognizable guitars in the world. Often copied, never duplicated, in all its colors, variations, woods and electronics, it will always be one of my favorite guitars of all time. We will miss you, Les. You were a one of a kind. Great story. Thanks for sharing! 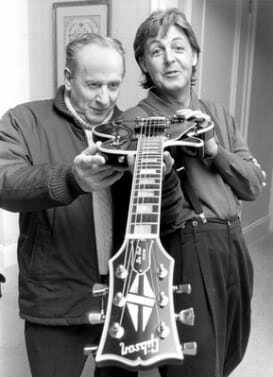 I would loved to have met Les Paul. He sounds like a wonderful person to be around.